It’s one of the paradoxes of modern life that even though men are freer to dress as they please than they ever have been before there remains a very stubborn wish to adhere to “the rules”. Quite what the rules are, and who came up with them, is unknown, but it remains the case that despite the evidence in front of their eyes many men believe that there is one correct way to do things when it comes to dressing up. Among “the rules” the ultimate sartorial shibboleth is “no brown in town” which, given that brown is rarely used for suits or shirts, is largely taken to refer to shoes. The rule has the advantage of being entirely clear and simple, but the disadvantage of being idiotic. 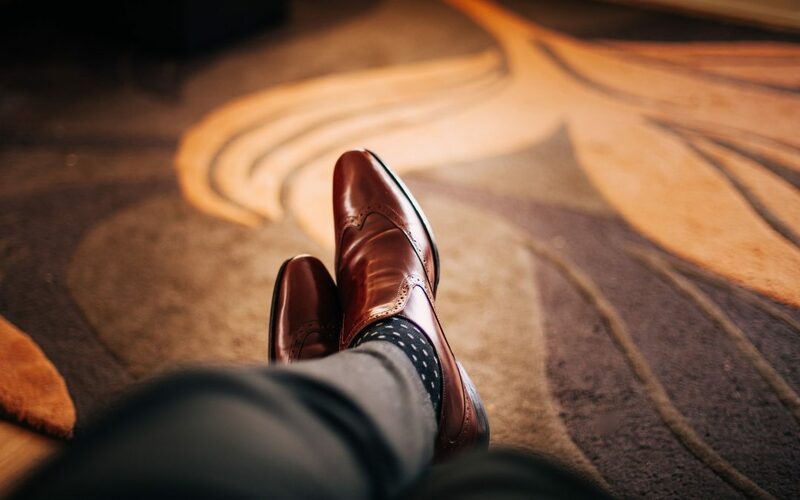 No doubt it is possible to find someone, somewhere, who takes a dim view of a man who wears brown shoes with tailored clothes, but is it reasonable to takes one’s steer from such a character? Better, surely, to be inspired by those very well dressed Italian men who know that both grey and navy suits look their best when worn with brown shoes. * This final sentence proves just how easy it is to generate new, spurious rules.